New Trailer for 'Warcraft' Delivers Epic Action, Could the Video Game Movie Curse Be Over? First debuting Tuesday on Facebook, Legendary Pictures and Universal Pictures released a new Warcraft trailer with new footage now available on YouTube. It's an action-filled preview that looks stunning and could just break the curse of video game adaptations that came before it. Starring Travis Fimmel, Paula Patton, Ben Foster, Dominic Cooper, Toby Kebbell, Ben Schnetzer, Rob Kazinsky and Daniel Wu, Warcraft takes place in the peaceful realm of Azeroth as it stands on the brink of war. Its civilization faces a fearsome race of invaders: Orc warriors fleeing their dying home to colonize another. As a portal opens to connect the two worlds, one army faces destruction and the other faces extinction. From opposing sides, two heroes are set on a collision course that will decide the fate of their family, their people and their home. The film has set up a dramatic premise of two opposite worlds joining together to fight a common enemy. The visuals are spectacular and if it plays out to be an exciting but emotionally grounded adventure that will engage audiences, Warcraft could become the elusive hit where Prince of Persia, Hitman, Lara Croft Tomb Raider: The Cradle of Life, could not. It has all the fantasy elements of Game of Thrones or Lord of the Rings with the dizzying action of The Avengers with a solid diverse cast. What more could audiences want? 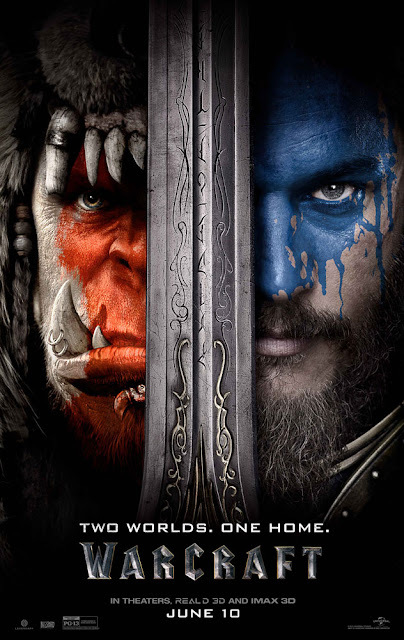 I guess we'll find out when Warcraft is released on June 10, 2016.